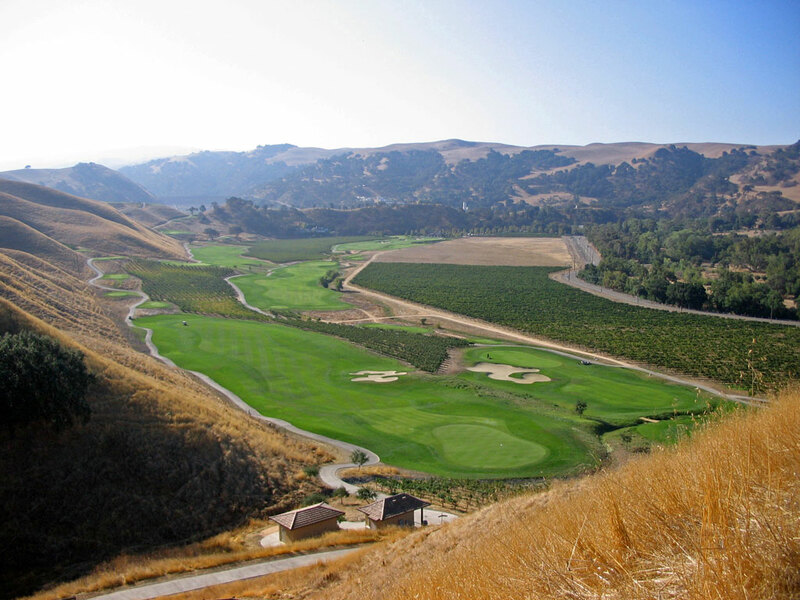 Course Website: Official Website - Visit The Course at Wente Vineyards's official website by clicking on the link provided. 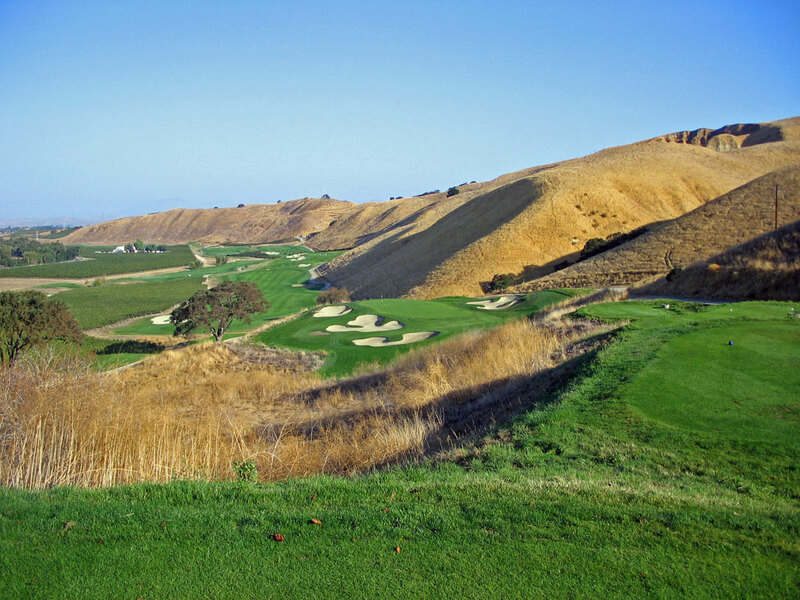 Accolades: Ranked 22nd in California on Golf Course Gurus' Best in State list. What to Expect: The Course at Wente Vineyards is an excellent golf facility that features some of Greg Norman's best work to date and pays tribute to Dr. Alister MacKenzie by emulating his unique jagged style bunkers. The course features loads of elevation changes throughout the track which leads to some towering drives and some difficult approaches. 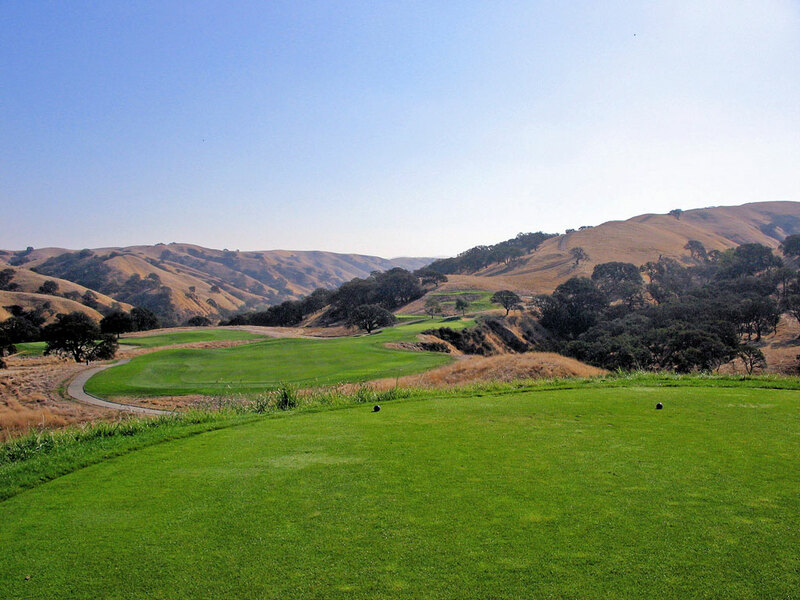 The course is cut through the California vineyards which offers a unique and beautiful setting that few public courses enjoy. An excellent mix of holes exists with several long difficult par fours as well as a pair of driveable par fours and a variety of approach angles. Expect to have a wonderful day at a challenging top notch facility. Signature Hole: 2nd Hole – 307 Yard Par 4 – The signature hole at Wente Vineyards is a driveable par four that gives players their first glance at Norman's MacKenzie style bunkers. The attractive MacKenzie bunkering theme is carried throughout the course and gives a real "throwback" feeling to years long since passed. The biggest obstactle on this hole though is the numerous trees that squeeze the fairway down and punish shots that are slightly off course. Precision shot making is required on this short signature hole. Best Par 3: 7th Hole – 228 Yards – Expansive views are featured from the tee box of this dramatic hole. Playing severely downhill downhill, this par three offers views of the vineyards to the left, hills on the right, and the intimidation of four MacKenzie style bunkers surrounding the green. The hole plays at least a club shorter than the yardage and the green is angled away from the golfer by moving front right to back left. It is a beautiful hole that embodies much of what Wente Vineyards is all about. Best Par 4: 18th Hole – 472 Yards – This difficult 472 yard par four finishing hole features a creek that runs through the hole and creates two fairways. The angles the split fairway offer aren't as severe as most others that try this concept, however playing to the right will shorten the hole a bit and requires a forced carry over a pond to reach the green. Playing your tee shot to the slightly safer left side brings the a collection of bunkers into play and lenghtens the hole. If you are like me, just aim right down the middle where the creek is and see what happens; chances are it will go right or left but rarely right where you are aiming. Best Par 5: 12th Hole – 564 Yards – For many golfers, having a blind shot is a death sentence. However, blind shots increase the interest level and are only a mystery the find time around a course. Such shots are found at the 564 yard 12th hole which features a blind uphill tee shot followed by another blind shot where the golfer uses the large oak tree as an aiming point. The fairway is wide and offers golfers plenty of buffer to players unfamiliar with the situation. After climbing the hill, the hole finishes at a green that is surrounded by five bunkers where havoc is often placed on approach shots due to the wind that is generally present at this portion of the course. Birdie Time: 10th Hole – 304 Yard Par – After climbing 250 feet from the 9th green to the 10th tee, the golfer is greeted by stunning views and a driveable par four with a canyon drop off to the right. It is a classic risk/reward situation and you should have had plenty of time at this point in your round to know whether your driver is "feeling it" today or not. When course designer Greg Norman and owner Phil Wente broke in the course with its official opening round, Norman displayed the reward side of this risky hole by scoring an eagle here on his way to a 69. It is a fun hole that all levels of golfers enjoy having in the mix. Bogey Beware: 9th Hole – 496 Yard Par – Long and straight. You hear it all the time in golf. Hitting the ball longer and straighter and the two unicorns of golf. Well the 9th hole is just that. Very long and rather straight. Ranked in the top 10 most difficult holes while on the Nationwide Tour, tour players stumbled to a scoring average of 4.412 in 2007 at this 496 yard brute that plays into the prevailing wind. Just a green in regulation here is a mighty feat so the best way you'll likely avoid bogey is with a nifty up and down.